Leopold was born on June 24, 1864 and was given the name Francisco Tomas of St. John the Baptist. He was the first born to Diego Marquez Ayala and Jeronima Sanchez Jimenez, simple industrious peasants. He was a hard worker, working in the fields and living with his family. He would start his day with Holy Mass and a visit to the Blessed Sacrament. It is said that he used to give away his tools to those who needed them or give his money to any poor person he met on his way home from harvesting grapes. 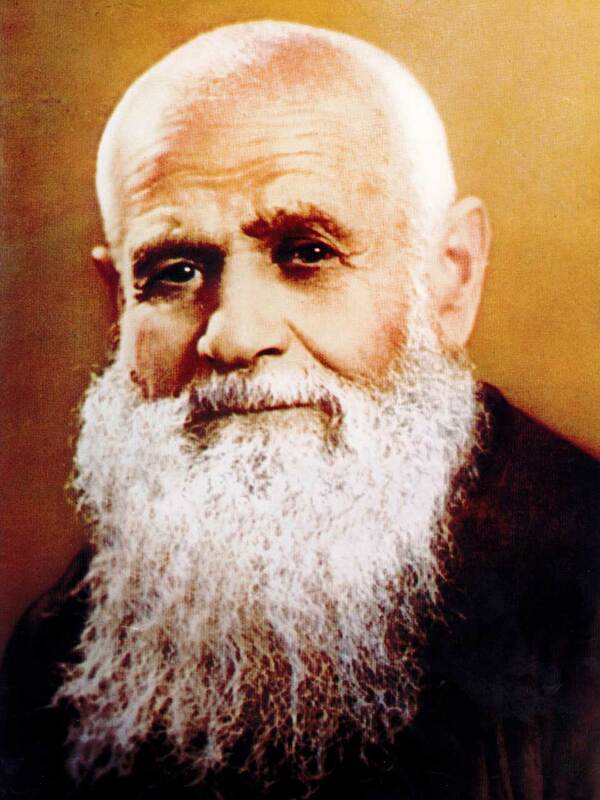 In 1894, during the celebrations in preparation for the beatification of the Capuchin Diego of Cadiz, Francisco Tomas decided he wanted to become a Capuchin. In 1899 he was accepted and on November 16th of that same year, he received the Capuchin habit and was given the name Brother Leopold of Alpandeire. While in Seville, they gave him the job of assistant to the friar who looked after the vegetable garden. He spent short periods in the friaries of Seville, Granada and Antequera and learned to transform manual work and the service of the brothers into prayer. Brother Leopold was assigned to the friary in Granada in 1903 and on November 23rd, he made his perpetual vows. For the next half-century, he spent his life as gardener, sacristan and questor. He would walk the dusty pathways and streets, distributing the alms of love and dispensing God's goodness to everyone. He lived in constant contact with people, who instead of distracting him helped him to come out of himself, to take on the burdens of others, to understand, to be helpful, to serve and to love. He died on February 9, 1956 at the age of 92. He was beatified by Benedict XVI on September 12, 2010. God our Father, you gave us Blessed Leopold as a wonderful example of simplicity and innocence of life. Grant that we may imitate his example here on earth so that we may share in his glory in heaven. We ask this through our Lord Jesus Christ, your Son, who lives and reigns with you and the Holy Spirit, one God, for ever and ever.